If you’re looking for a healthy treat but don’t want to fire up the oven and heat up your kitchen, we’ve got you covered! These no-bake dessert recipes are perfect for a night at home, or to take to a BBQ. 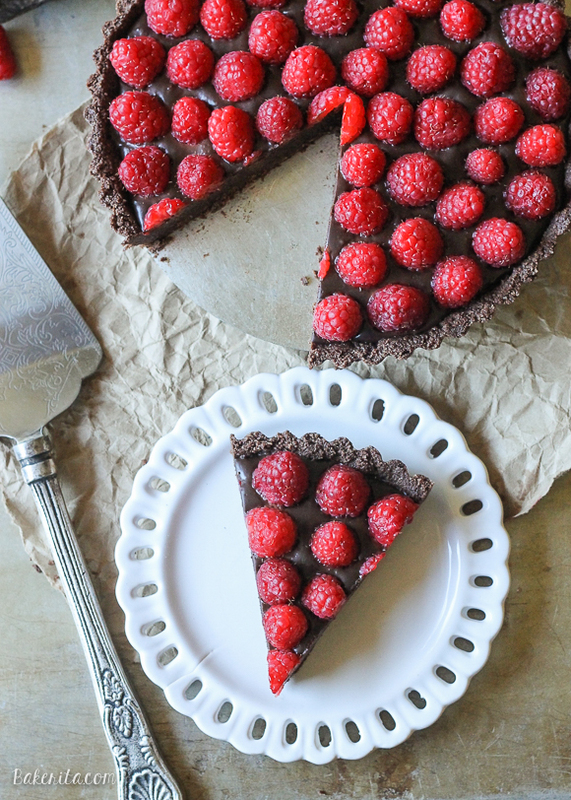 With a raw chocolate crust, chocolate ganache, and fresh raspberries, this paleo and vegan-friendly dessert is ready in 10 minutes flat! 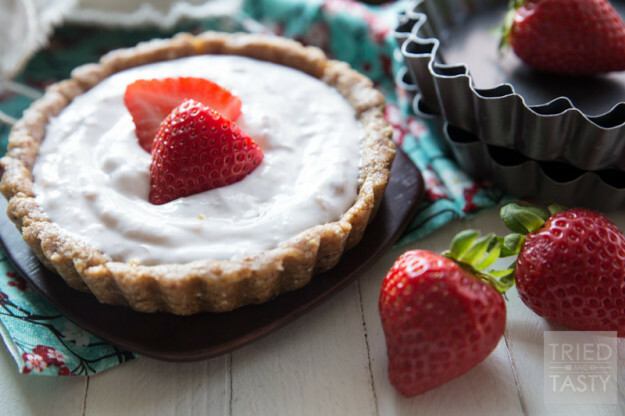 With only 5 ingredients, this no-bake tart is quick to make and is free of any refined sugar. Got a hankering for chocolate? 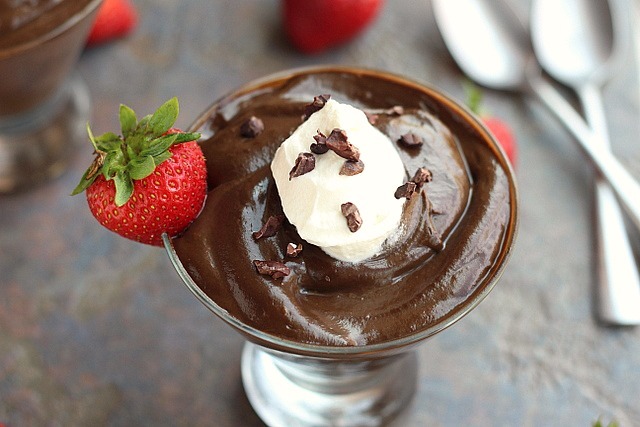 Satisfy it with this creamy, dreamy mousse, made with avocado for healthy fats and sweetened with sugar, to keep it a low-sugar option. 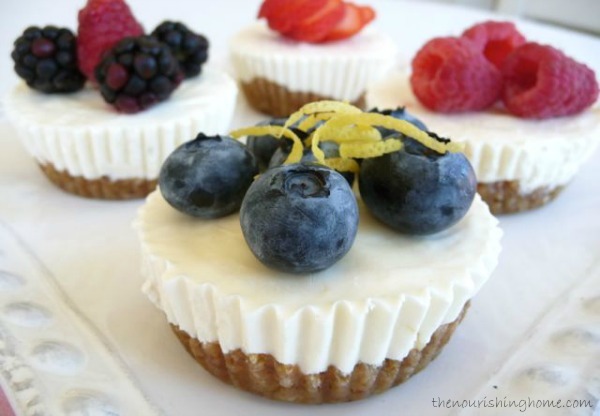 With a nutty grain-free crust, these perfectly portioned cheesecakes make an excellent summer dessert. You’ll love the bright lemon-flavored filling and fresh berry topping! 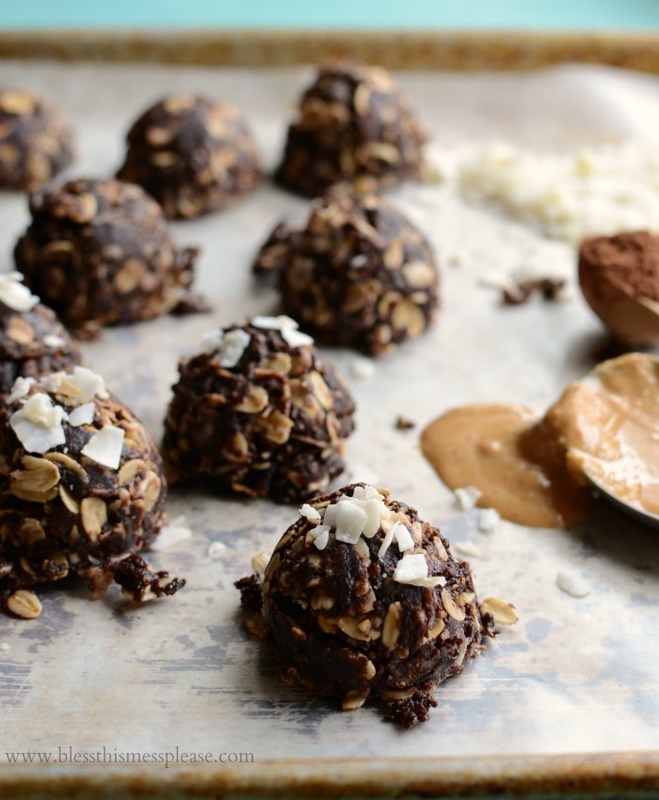 These tempting no-bake cookies have the perfect combination of peanut butter and chocolate, but are also packed with lots of healthy fats and fiber! 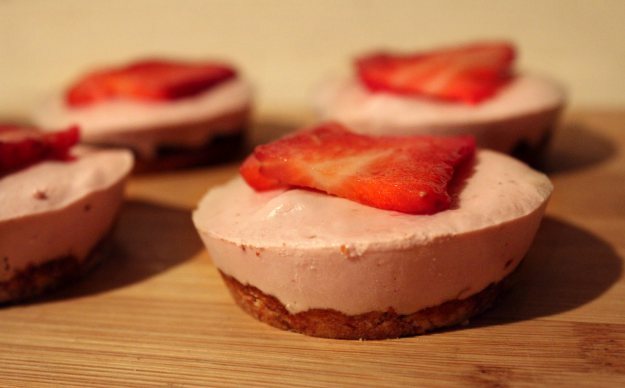 Each of these delicious dairy-free and gluten-free cheesecakes clocks in at just over 200 calories. As the filling is made from a cashew cream base, they’re also high in protein and healthy fats. Delicious AND nutritious! 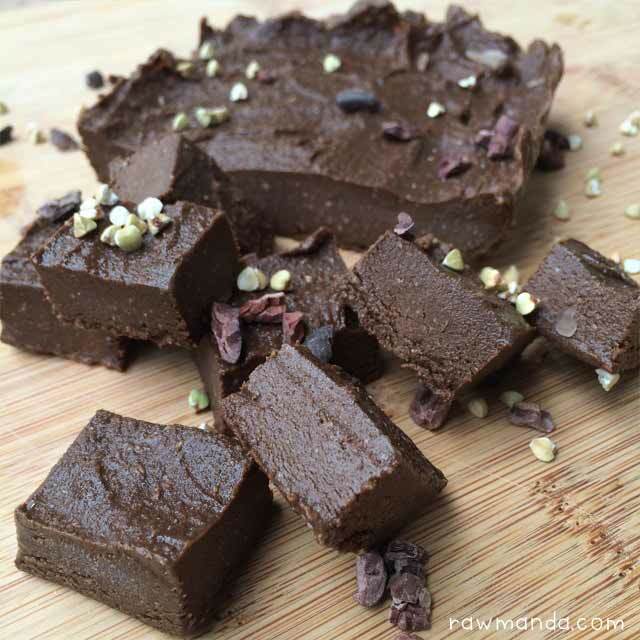 While these bars sound incredibly indulgent, they’re actually free of dairy and grains, and are Paleo-friendly! 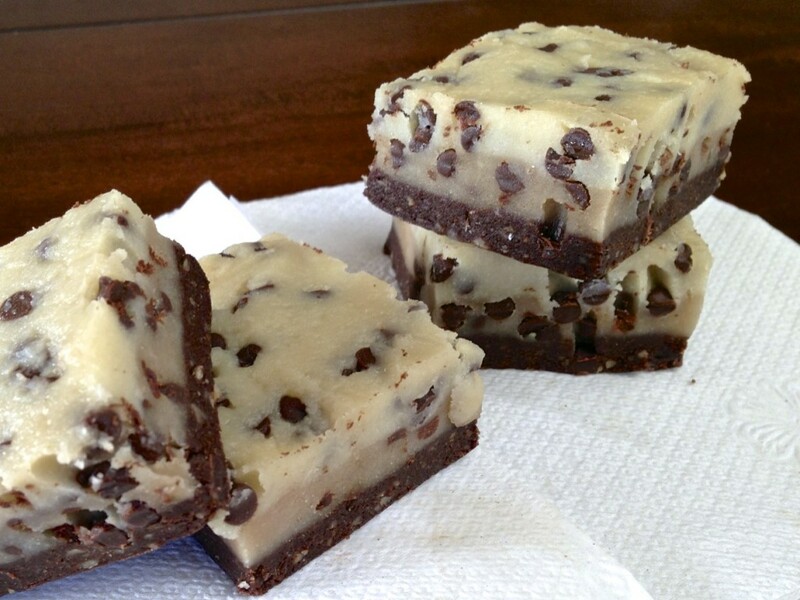 Perfect for satisfying those cookie dough cravings in healthier and egg-free way. These rich, fudge-y brownies are free of any nuts and sweetened naturally with dates for a treat that’ll satisfy any chocolate craving. This entry was posted in Recipes and tagged healthy dessert recipes, healthy no-bake recipes, healthy recipes, recipes on August 11, 2015 by TeamBooya.